If you could sum up What Every BODY Is Saying in three words, what would they be? What was one of the most memorable moments of What Every BODY Is Saying? Hearing how revealing our legs and feet are in signaling messages. Have you listened to any of Paul Costanzo’s other performances before? How does this one compare? 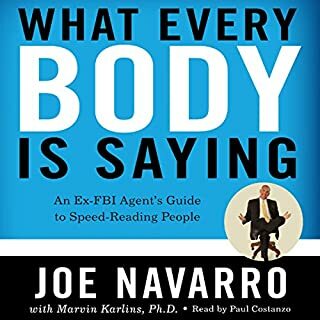 This is valuable information for everyone in dealing with family members, friends, work colleagues and especially for meetings and interviews. Am already recommending this book to several friends. It puts things in perspective for all of us as we are met with difficulties, disappointments and griefs. It provokes thought, offers healthy perspectives and helps one make important decisions about how to accept and grow from life's unexpected twists and turns. Have you listened to any of Richard Rohr’s other performances before? How does this one compare? 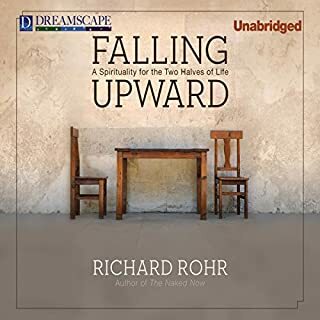 This is my first introduction to Richard Rohr. He recently spoke in my city and over 1,200 people attended his lecture. His reading is conversational and pleasant.